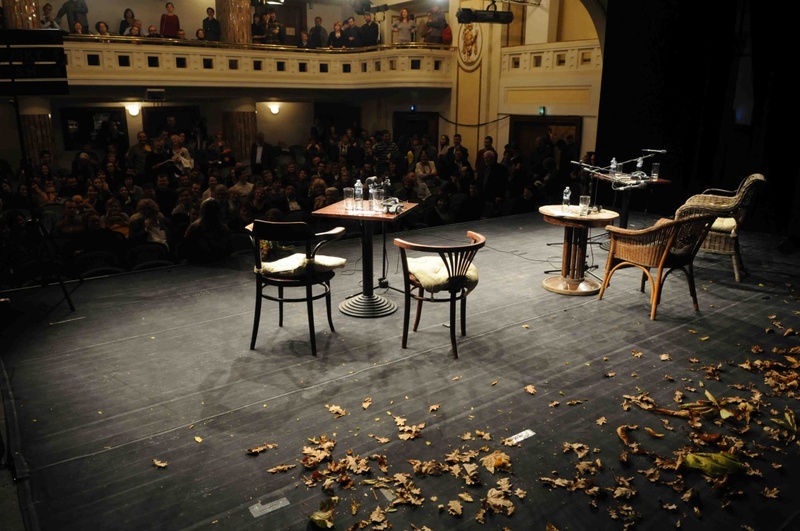 Below you can find descriptions and times for all of the debates and satellite events at 2014’s Central European Forum. Click on the following links to head to a specific day: Friday 14.11, Saturday 15.11, Sunday 16.11, Monday 17.11, Tuesday 18.11 and Wednesday 19.11. Recordings of all the official programme debates can be found here. Location: Institute for Public Affairs [IVO] at the Goethe Institute Library, Panenská 682/33. Ten years in the EU: the Slovak and Czech path coincides with the launch of a new IVO book and, as in the book, seeks answers to the question of how EU membership has affected people’s everyday lives, the functioning of democratic institutions, human and minority rights, civil society development, a sense of European solidarity and support for the EU’s fundamental values. Speakers: Oľga Gyárfášová (Slovakia) – Jarmila Lajčáková (Slovakia) – Grigorij Mesežnikov (Slovakia). Location: Moyzes Hall, Gondova 2. Opening speeches: Martin Bútora (Slovakia) – Sir Robert Cooper (UK) – Dana Němcová (Czech Republic) – Franz-Karl Prüller (Austria) – Julia Sherwood (Slovakia / UK). Location: Štúdio L + S, Námestie 1. Mája 5. What does the Ukrainian conflict mean for Central Europe? What can be considered to be ethical and meaningful stances vis-à-vis Russia? Which historical lessons are relevant to the present crisis? Should we look for guidance in the events of 1938 – aggression won’t stop of its own accord unless we take a stand – do we need to go further back to 1914 – if we allow war to flare up, will it stop of its own accord? – or do we need to find a new paradigm, relevant to our own era? Lastly, what damage have recent developments inflicted upon the idea of Visegrád and, more generally, that of Central Europe? Speakers: Vasyl Cherepanyn (Ukraine) – Sir Robert Cooper (UK) – Ivan Gabal (Czech Republic) – Ivan Krastev (Bulgaria) – Ingo Schulze (Germany) – Biljana Srbljanović (Serbia). We seem to be living in an era, in which the concept of privacy is disappearing and our public spaces are rapidly shrinking. How has this been able to come about and what does it mean for us? Speakers: Václav Bělohradský (Czech Republic) – Gilles Lipovetsky (France). Society has become hopelessly divided into sealed-off sections, incapable of communicating with one another and each with the feeling of being victimised by the others. This phenomenon, a quasi poisoning of the collective mind, has affected and, to some degree paralysed, vast swathes of the world, with its impact apparent in Central and Eastern Europe, the US and many other parts of the world. What is its cause and what are its implications? Speakers: Zora Bútorová (Slovakia) – Mitchell Cohen (US) – Gyorgy Dalos (Hungary) – Haris Pašović (Bosnia-Herzegovina) – Jurko Prochasko (Ukraine). Co-organised by the Slovak Atlantic Commission, a member of the Central European Strategy Council. The vision of a unified Europe, which is free and at peace remains unfulfilled. After several rounds of enlargement, signs of fatigue are apparent in both the European Union and NATO. Are there attractive Russia-centric alternatives to European and Euro-Atlantic integration? What must be done to buttress Ukrainian aspirations ,and those of other nations, in such matters as EU membership? Has Central Europe been active enough? Speakers: Josef Braml (Germany) – Vasyl Cherepanyn (Ukraine) – Andrej Soldatov (Russia). Based on the real life story of Irina Krasovskaya, whose husband Anatoly was kidnapped and murdered for rendering assistance to the democratic body of Belarus, this performance shines light on enforced disappearances and has been award the French Republic’s prize for work in the field of human rights. It has also received the accolade of best Off-Off Broadway production from the New York Bloggers’ Association. Performers: Pavel Radak Haradnicki – Aleh Sidorchyk – Marina Yurevich. A discussion with the directors of the Belarus Free Theatre. Speakers: Natalia Kaliada – Nikolaj Khalezin (Belarus). The greatest weapon used by Putin’s Russia in its ideological offensive is the preservation of the traditional family in its supposedly age-old format. Asserting this societal model as an inviolable moral value, the Russian government presents itself as the last bastion between its citizenry and their corruption through what it brands as European societal perversions. Which concept is more artificial – tradition or human rights? Speakers: Jacek Dehnel (Poland) – Leonidas Donskis (Lithuania) – Maria Lipman (Russia) – Robert Menasse (Austria). People who were too young to take part in the revolutions of 1989 are now turning on their elders, saying: the only role your revolution has ultimately assigned to us is that of industrious multipliers of our own wealth. What if that is not enough for us? Speakers: Mary Kaldor (UK) – Fatos Lubonja (Albania) – Slawomir Sierakowski (Poland). Chair: Martin M. Šimečka (Slovakia). Location: Klub 77, Horná 54, Banská Bystrica. Guest speaker: Miroslav Kusý (Slovakia). Location: Faculty of Social and Economic Sciences, Comenius University, Mlynské luhy 4, Bratislava. 11:30 – The merit of November ’89 – the merit of dissent? Guest speaker: Mitchell Cohen (US). Main location – Štúdio L + S, Bratislava. The Goethe Institute Library, Bratislava. The Faculty of Social and Economic Sciences, Comenius University, Bratislava.